Offering you a complete choice of products which include eps thermocol sheet, thermocol sheet and thermocol packaging sheet. Available Thickness 10,15,20,25,35 mm etc. 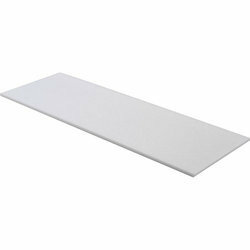 We offer a variety of supreme quality EPS Thermocol Sheets. These products are widely appreciated due to high bonding strength. 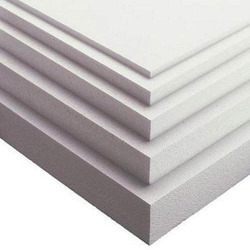 EPS sheets can be used for various industrial applications, especially for safe packaging and insulation. EPS Thermocol Sheets offer resistance to cold and heat. These are made available in different dimensions and have a smooth finish and high durability. 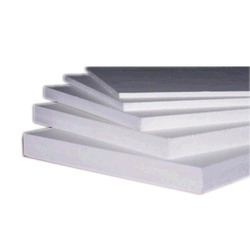 We offer superior quality Thermocol Sheet made up of highly durable polystyrene. Thermocol sheets find their application in areas like construction industry for sound proofing and heat treatment and in the packaging industry for ensuring the safety of the products to be packed. They have high resistance to water, carbon-dioxide and major volatile compounds. We provide customization of these sheets as per the needs of our clients. We manufacture highly durable Thermocol Sheets for Packaging and offer them at industry leading prices. They are made using superior quality polystyrene sourced from trusted vendors. This product is used in various packaging industries and gift shops to ensure the safety of products from any kind of shocks or friction. We offer these products in varied dimensions but they also can be customized according to the specifications of our clients. Looking for Thermocol Sheet ?